I have a confession to make: I’m one of those girls who tell their partners they don’t want anything special for Valentine’s Day only to get upset when their other half really didn’t do anything special. I don’t fancy flowers because they are a huge waste of money, but would still appreciate getting one stalk. As for dinners, I like romantic meals that don’t cost an arm and a leg but Valentine’s Day is when everything is overpriced. rif and I usually have our dinner before or after the actual day. Sometimes, we get pizza and camp in front of the TV watching a movie marathon. The Valentine’s Day menu at Samplings on the Fourteenth fits all the criteria we want – good food, romantic ambiance and I get a stalk of red rose at the end of the day. 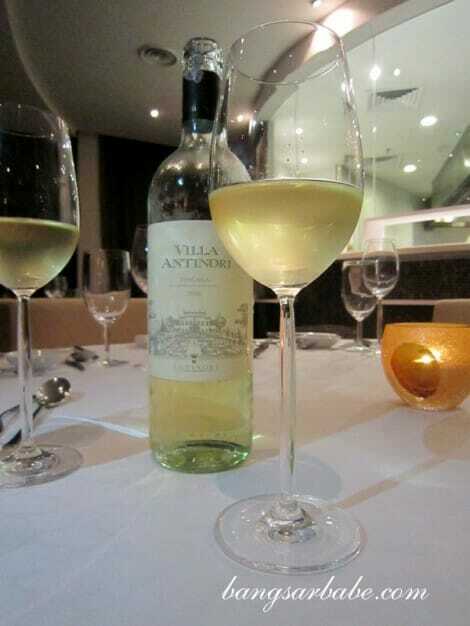 Best part is, dinner doesn’t cost a bomb* (RM158++ per person inclusive of a glass of sparkling wine). 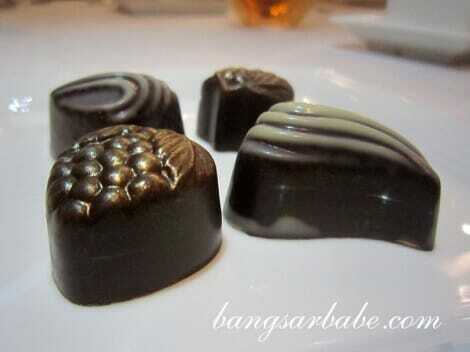 *Most Valentine’s Day dinners are priced at about RM250-300 per pax. 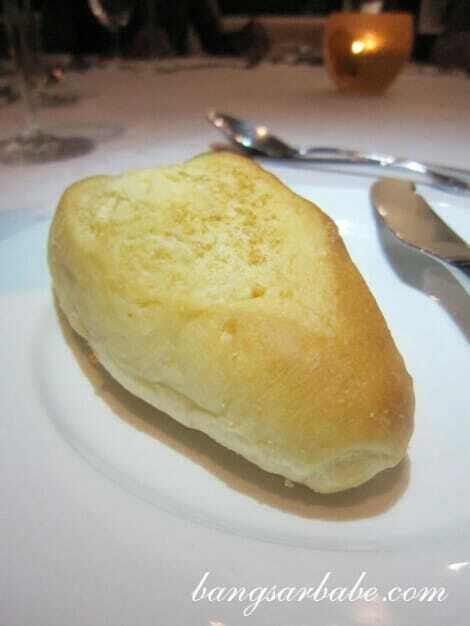 We were served freshly baked bread to start, and as usual, I went for the cheese roll. After a rock hard bread incident, I steered clear from hard rolls. The cheese roll was soft and cottony at the centre, and tasted delicious with generous lashings of salted butter. Smoked duck and scallop don’t often go well together, but somehow, Chef Val managed to pair these two ingredients nicely. 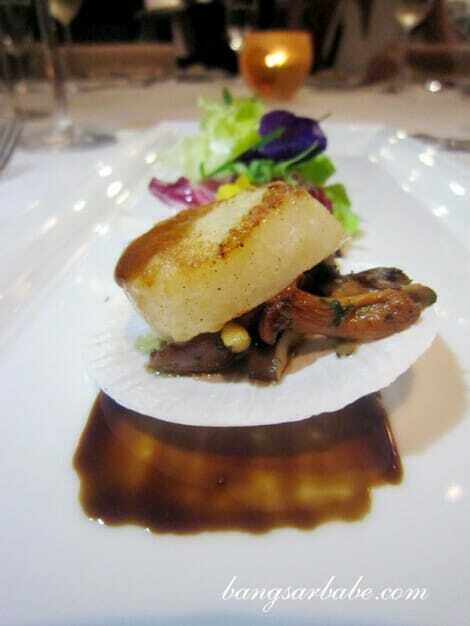 The scallop was undoubtedly the star of the show – glistening, crisp at the sides and moist inside. Smoked duck is usually very strong in flavour, but in this case, it was toned done to complement the delicate flavour of the scallop. Larger than a 50sen coin! 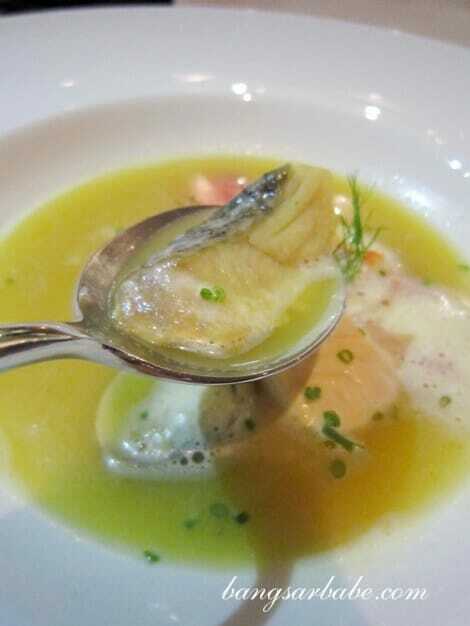 The saffron seafood soup with fennel and tomato was light yet concentrated, from hours of simmering. 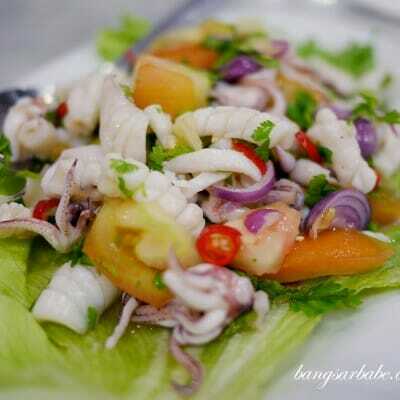 The seafood was fresh and sweet; I especially liked the clams. That said, I didn’t quite taste the saffron in the soup but the slight yellow-orange tinge marked its presence. 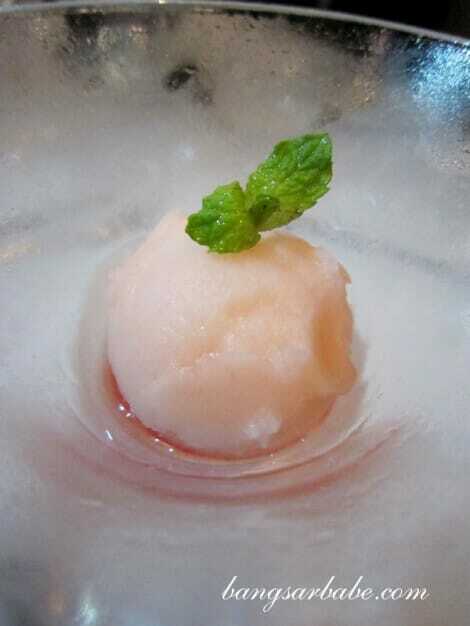 We cleansed our palate with the Pink Grapefruit Sorbet with Campari. The Campari gave a sharp contrast to the citrus element of the sorbet. It had a mild bitterness which I appreciated. A refreshing twist from lime or mango sorbets. 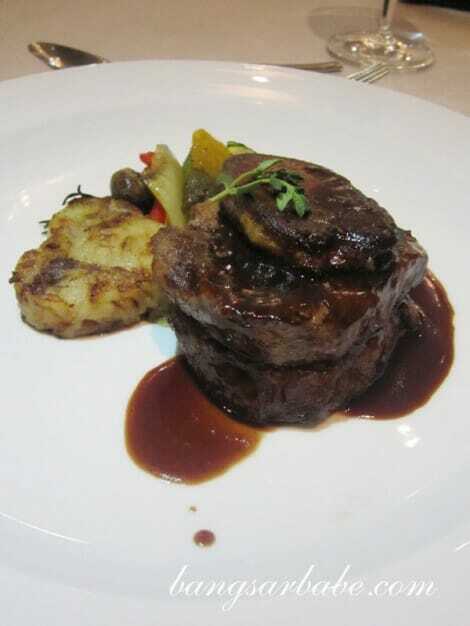 For mains, you get a choice of Grilled Beef Tenderloin with Seared Foie Gras, Port Wine Reduction and Spring Vegetables or Pan-Fried Cod Fish Fillet with Sea Urchin and Caviar Sauce. Fish and seafood has always been Chef Val’s forte. 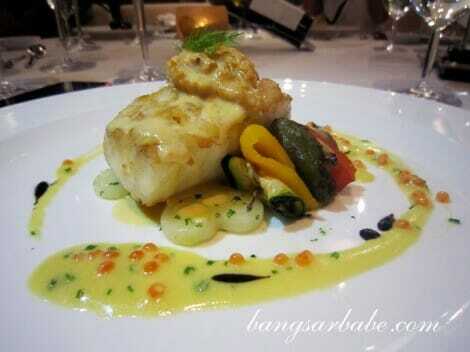 The cod – cooked to flaky perfection – was of a generous portion. 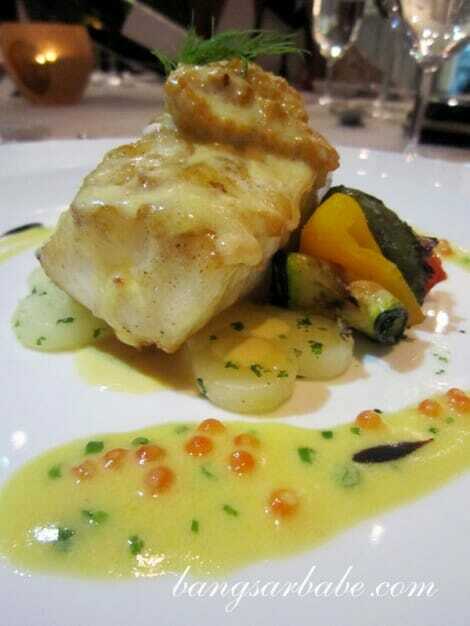 I thought the strong flavour of the sea urchin overpowered the delicate nature of the cod, but rif strongly disagreed. He claimed that the sea urchin amplified the dish so I let him have most of the sea urchin. 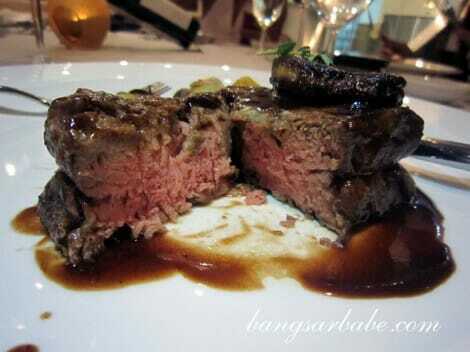 The beef tenderloin was a bit too done for my liking; medium rare is how I like my steaks to be cooked. That said, the seared foie gras was a delight to eat. 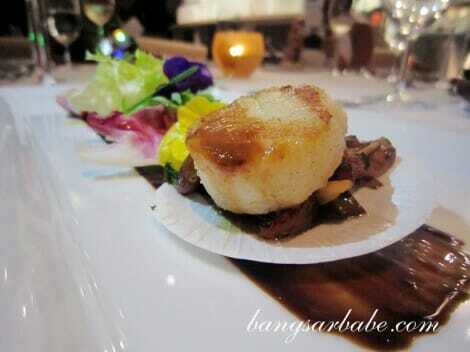 I’ve always enjoyed Chef Val’s foie gras dishes, especially his seared foie gras with tomato and onion tart. 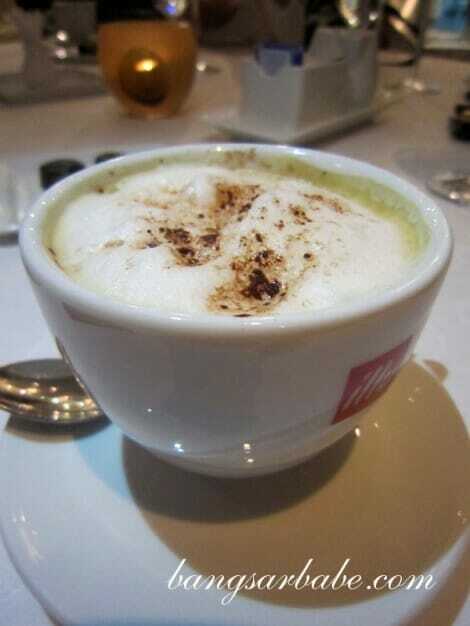 You also get a choice of coffee or tea – I had a cappuccino – to eat with chocolate pralines. 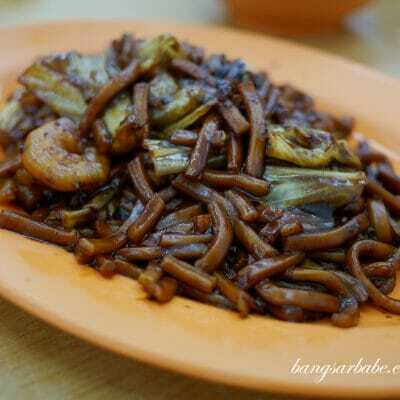 For all the above, RM158++ per person is quite a good deal. 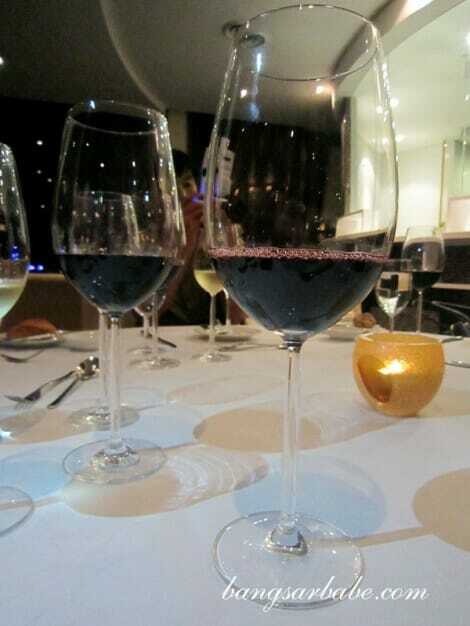 Did I mention you get a glass of sparkling wine each? Verdict: The food was quite good and portions were generous. 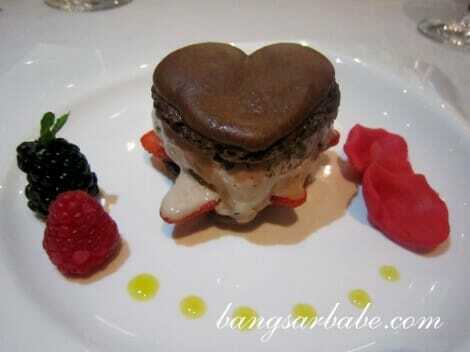 The only boo-hoo that night was the almond macaron. My wife share d same thoughts as you…. I use to go to the wet market to get my wife some floweres .. they are cheaper n they can wrap it as nice as those florist..
Yea, the Valentine’s meal here is one of the best values lor, considering the ingredients they’re serving. Most other hotels are charging a bomb! Ya lor! Anything more than RM200 per pax is way overpriced. 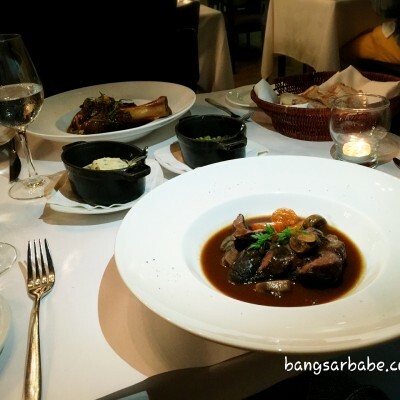 I agree that Chef Val’s seared foie gras is simply delightful. The Samplings offer for Vday is a good deal! Don’t know how he does it so nicely. Consistent some more! I generally avoid anything valentine’s day. 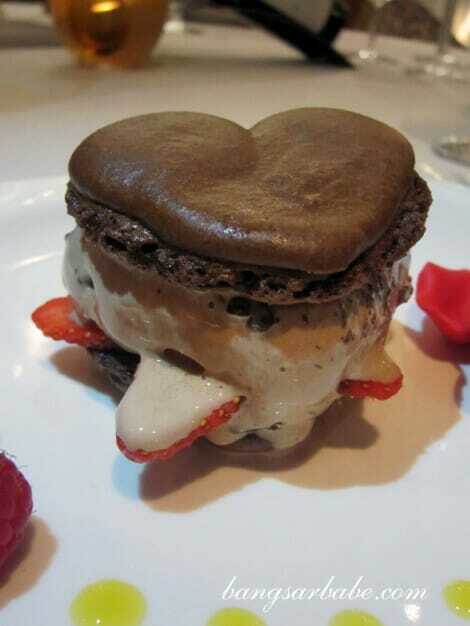 i think next time, i’ll just cook for my husband/boyfriend for valentine’s day. far much romantic.